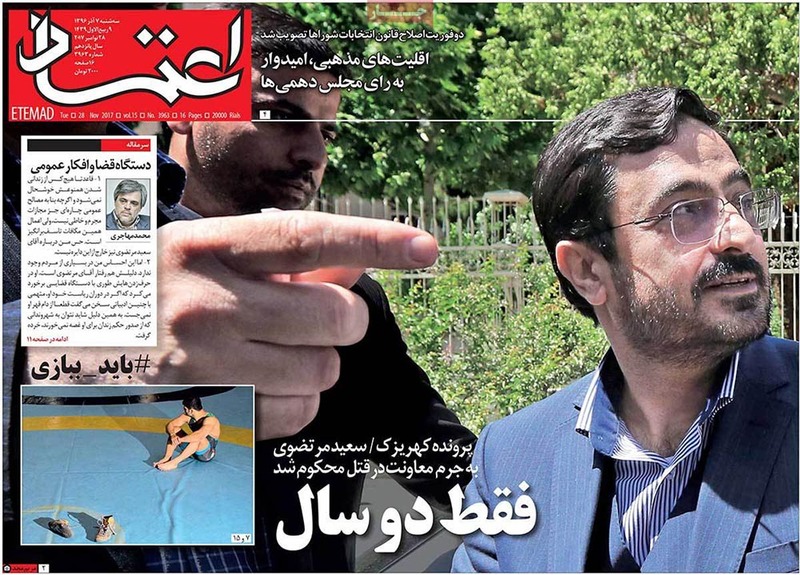 The appeal court has finally sentenced Saeed Mortazavi, Tehran's former prosecutor to two years in prison in connection with the Kahrizak Detention Center scandal in 2009. After the 2009 disputed elected in Iran, over 100 prisoners were taken to Kahrizak Detention Center, beaten, some tortured and sexually abused and five died as result of injuries sustained while in custody. The news of Mortazavi's sentencing was reported by counsel to the Mohsen Ruholamini family whose son was killed under torture in Kahrizak. On Sunday, branch 22 of the appeal court found Saeed Mortazavi guilty of aiding and abetting in murder. MirMajid Taheri, Counsel to the Ruholamini famil announced that the court gave Mortazavi a reduced sentence for having shown remorse for his actions. Last Tuesday the appeal court convened to once again consider the charges against Saeed Mortazavi in connection with the Kahrizak Detention Centre. The court has convened on several occasions to consider these charges and Mortazavi was not present in the last court session. Mortazavi has not retained any counsel and has been presenting his own defence throughout the proceedings. This matter has been dragging in court for over eight years with court files now at 32 volumes and 15 thousand pages. The case involves corruption charges in connection with the Social Security Fund allegedly committed when Mortazavi was at the helm of Social Security Office as well as murder charges brought against him by the Ruholamini family. Last year, the lower court acquitted Mortazavi in connection with the Ruholamini matter and sentenced him to six months in jail as well as 46 million toumans in fines for the corruption charges. Mortazavi appealed the decision and the two decisions were thus submitted to the appeals court within the same file. Last May the appeal court accepted to review the matter. Saeed Mortazavi was Tehran's prosecutor during Mahmoud Ahmadinejad's presidency. He was removed from his position when the death of prisoners under torture in Kahrizak was publicized. Mahmoud Ahmadinejad however did not withdraw his support for Mortazavi and immediately placed him at the helm of the Social Security Office. 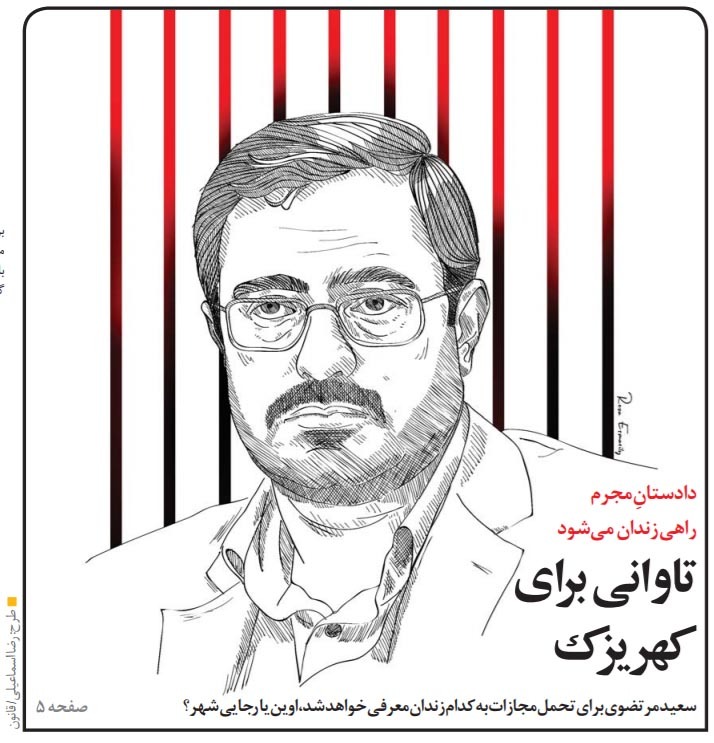 In September in an open letter, Mortazavi apologized to the families of the detainees who were killed in Kahrizak and expressed his remorse for the events that occurred under his watch. Saeed Mortazavi was Tehran's prosecutor during the mass protests of 2009 in Iran triggered by the allegations of vote fraud in the election victory of Mahmoud Ahmadinejad. Thousands of protesters challenged the vote count by taking to the streets in peaceful demonstrations. Many protesters were killed and arrested by the authorities in order to defuse the protests.